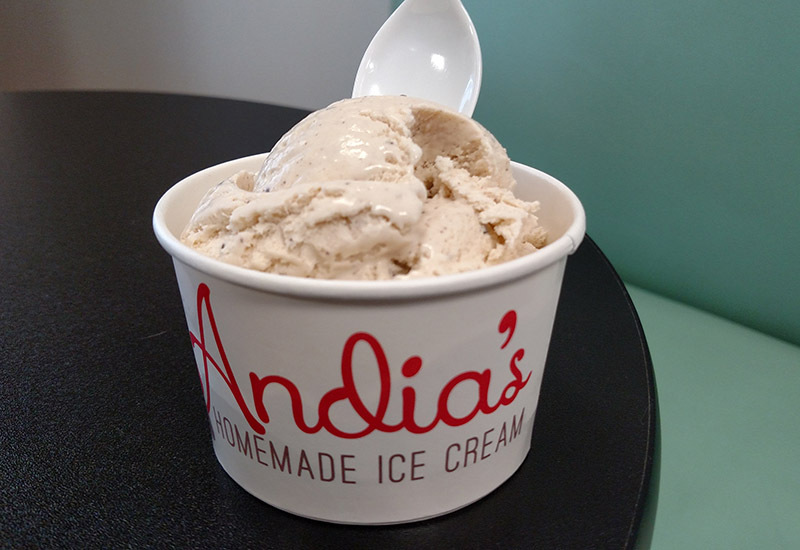 Cary, NC – Already well known for their ice cream catering, Andia’s Homemade Ice Cream are now open with their first physical store in Cary, treating people to their unique and carefully made ice cream. 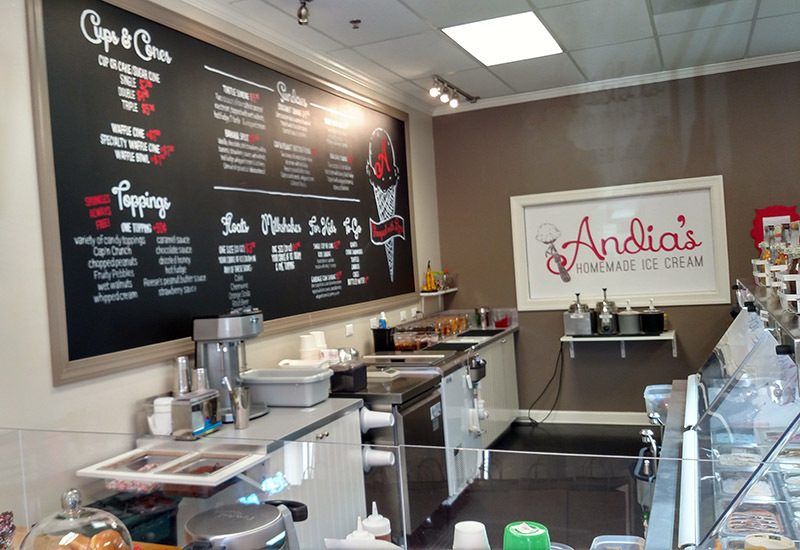 Andia’s Homemade Ice Cream, located on Green Level Church Road, has been around in the Triangle for roughly three and a half years, catering ice cream for corporate events and creating custom sundae bars for weddings. 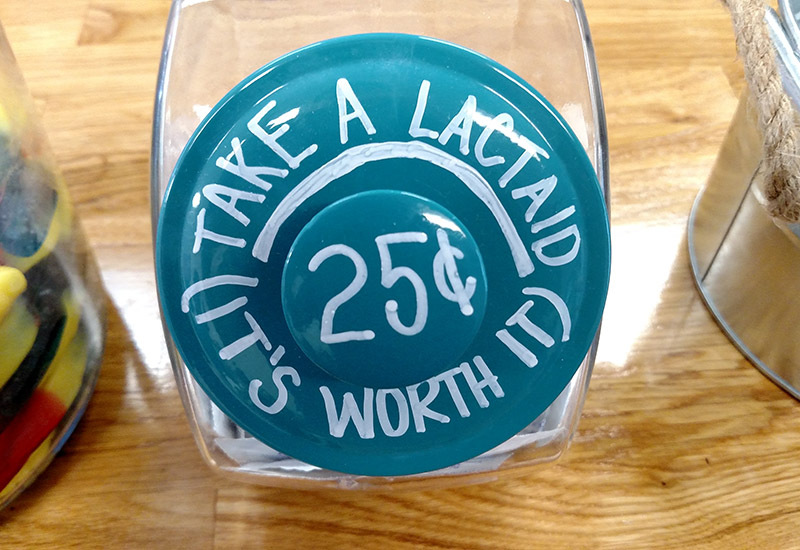 “Then people started asking where to get our ice cream when we’re not at an event,” said Andia Xouris, owner of Andia’s and the creator of its recipes. While Andia’s also operates a food truck, they continued to try and establish a physical location. When a storefront became available in Autumn 2016, they got to work and opened this past Thursday, July 27, 2017. One of Andia’s key features are its unique flavors. Xouris has created everything from Orange Jalapeño Creamsicle to a popular baklava flavor that draws on her Greek heritage. “Every recipe is my baby,” Xouris said. And all allergens in each flavor are advertised up front in the store. 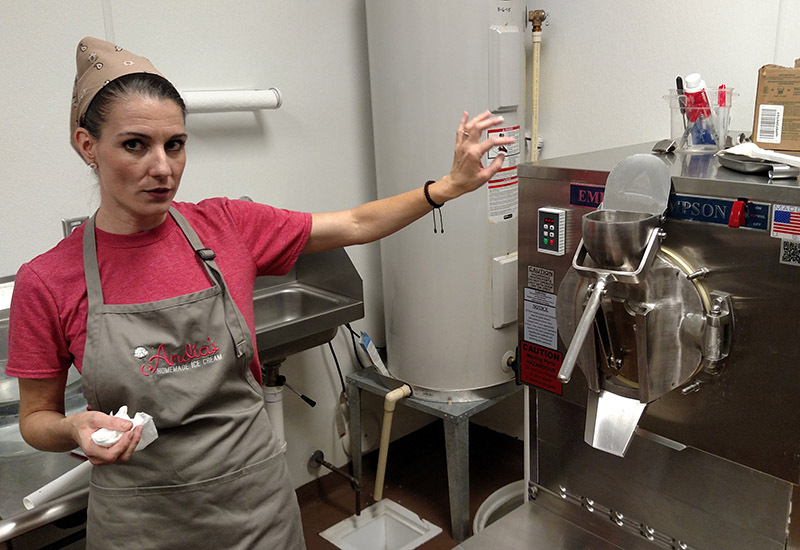 Xouris also prides what she calls their premium quality, taking each step of the ice cream making process into account. They take milk from a specific dairy in upstate New York for its health and creaminess, they use real ingredients to add to each flavor and they use both an Emery Thompson ice cream maker and a blast freezer to create the final product. With the blast freezer, the ice cream is kept for 12 hours, making it as solid as possible to avoid any ice crystals or melting edges. The ice cream is gradually cooled, from -30 degrees Fahrenheit to -20, then 0 and scooping temperature is around 8 degrees. When Andia’s first came on the scene, it was known as “The Freezing Pointe” but Xouris said they were encouraged to find a more family-focused name. Xouris runs the business, both the store and the catering side, with her husband George and they get assistance from their two college-aged children who also helped decorate the Cary store. The family moved to the Cary area from New Jersey around seven years ago. She called it a leap of faith but they searched for the best places to live in the country and came up with the Triangle fairly quickly. And going from the catering and wedding side of the business to retail is a transition for them, Xouris said. “It was scary but we’ve been growing for four years,” she said. 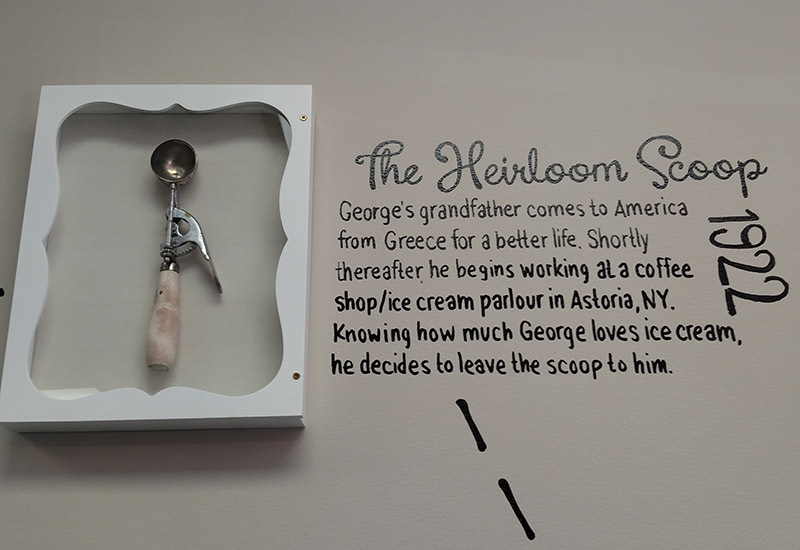 George Xouris said retail, and particularly the marketing side of retail, is very different but this what they needed to do to meet the demand for their ice cream. 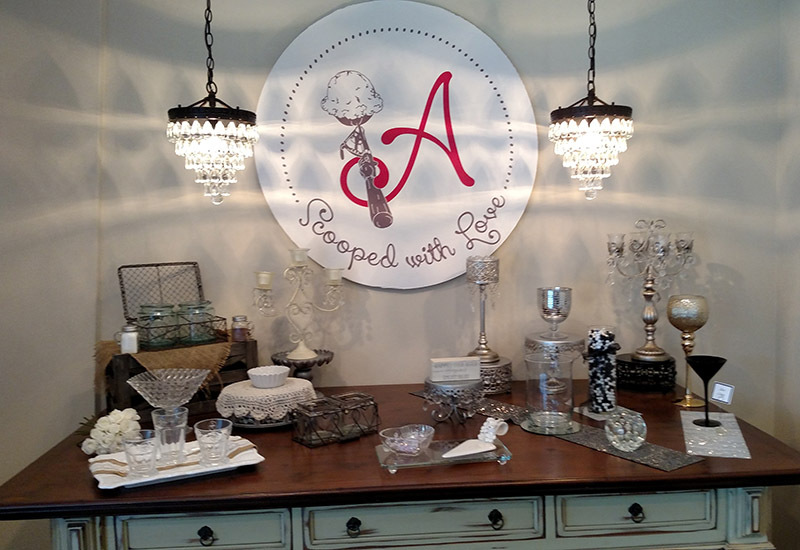 Andia’s still operates its production facility in Morrisville where brides and grooms meet to plan out their wedding sundae bar, selecting flavors and serving dishes. Xouris said they plan to keep this facility for at least the next three years. This is also where they keep their blast freezer to store all their ice cream, which Xouris said they are selling at a rate of about 18 tubs a day, or roughly 54 gallons. 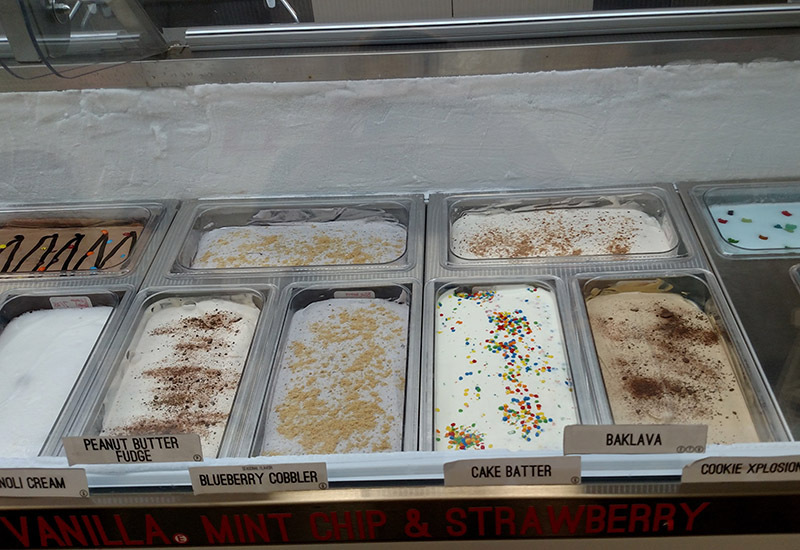 Andia’s Homemade Ice Cream is located at 10120 Green Level Church Road, Suite #208 in Cary.